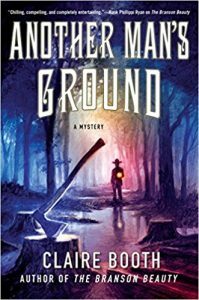 In Another Man’s Ground, her next novel featuring Sheriff Hank Worth, acclaimed author Claire Booth delivers a taut, witty mystery that will grip readers from the opening pages to the breathless conclusion. Claire Booth spent more than a decade as a daily newspaper reporter, much of it covering crimes so convoluted and strange they seemed more like fiction than reality. Eventually, she had enough of the real world and decided to write novels instead. 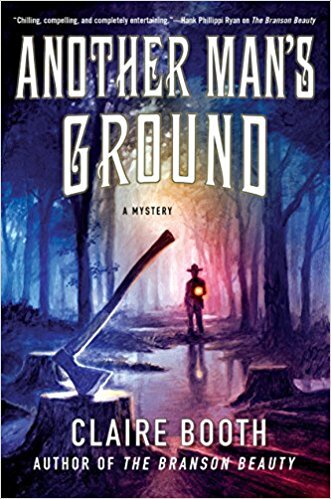 Her Sheriff Hank Worth mystery series takes place in Branson, Missouri, where small-town Ozark politics and big-city country music tourism clash in, yes, strange and convoluted ways. For more about Claire, her books, and some of the true crimes she’s covered, please visit www.clairebooth.com, like her on Facebook, and follow her on Twitter.